With several Connecticut down payment assistance programs offered, there may be funds to help get into a home now. Perhaps you thought you would have to wait to save up money but you may be able to get it all in motion right now thanks to such programs. The Connecticut Housing Finance Authority is the most common entity where buyers quality for money for down payment assistance. This program not only can help with the down payment, it can also assist with the closing costs. This program is for anyone that qualifies for a CHFA loan. The funds can be used to pay for the down payment and closing costs up to 5% of the purchase price or the appraisal price. The cap is based on the lower of those two amounts. This is a second mortgage that is added on to the end of the first mortgage. You don’t pay it at the same time. This is the most common of the Connecticut down payment assistance programs. Housing Development Fund, Inc. may be an option. 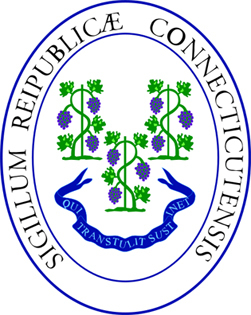 However, this Connecticut down payment assistance program is limited to certain counties. They include Litchfield, New Haven, and Fairfield. This program is only offered to first time buyers or those that have not owned a home in the previous 3 years. Applicants must meet income and credit score requirements. The income amounts depend on number of people in the family and the county where the home is. The U.S. Department of Agriculture Rural Housing offers assistance for those buying a home in a rural area of Connecticut. This is a grant program that can offer up to $7,500 for down payment and closing costs. The requirements can be very strict but it is still a good program to look at. Find a lender that can assist you with the requirements of this particular Connecticut down payment assistance program. This entry was posted in Connecticut and tagged connecticut, down payment assistance, grants, housing authority, programs. Bookmark the permalink.